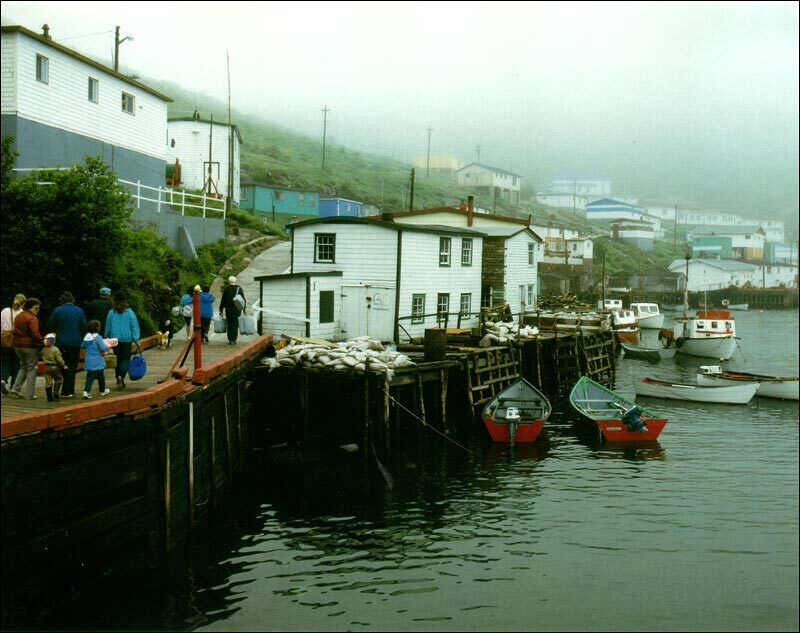 A small community located on the south coast of Newfoundland. Reproduced by permission of Ben Hansen. From Ben Hansen, Newfoundland (St. John's, Newfoundland: Vinland Press, ©1987). Successive cultures have occupied the coastlines which include a land environment with scattered resources of limited potential, and a bounteous sea. These environmental realities represent an important aspect of the province's heritage. Settlement patterns and economic activity have been profoundly influenced by the richness of coastal and marine resources (mammals, fish and birds) compared to the relative scarcity of terrestrial resources (soils, vegetation, fauna). The ocean environment of Newfoundland and Labrador is characterized by some of the world's most extensive continental shelf areas. These provided a habitat for what were once the world's most abundant fish stocks. Another important element is the cold Labrador Current which flows mainly southward along the east coast of Labrador and Newfoundland, but envelopes the whole island. This current affects the climate of coastal areas and the seasonal distribution of marine mammals, birds and fish. In addition to the decisive influence of the ocean, life in Newfoundland and Labrador has been shaped by other key features of the natural environment, such as the shortness of the growing season, the scarcity of good soils, the long winter period, and the impediments of harsh weather, including storms, fog, strong and variable winds, heavy precipitation, and cold temperatures. 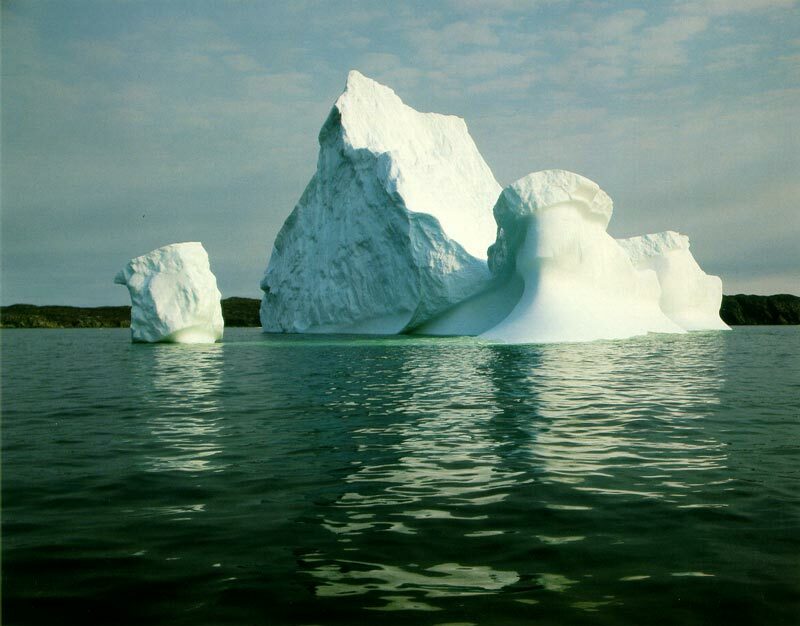 Poor drainage, cold currents, offshore pack ice, and icebergs have also had a major impact.